We all love the freedom of swimming in the open waters: there are no lines, no walls, no stopwatch... but there is a lot of rubbish. I aspire to become the first person to swim the "Oceans Grand Slam", which comprises the Oceans Seven (solo achievement of seven channels), in addition to completing a 1 km swim anywhere within the Arctic Circle and the Antarctic Circle in the Southern Ocean. 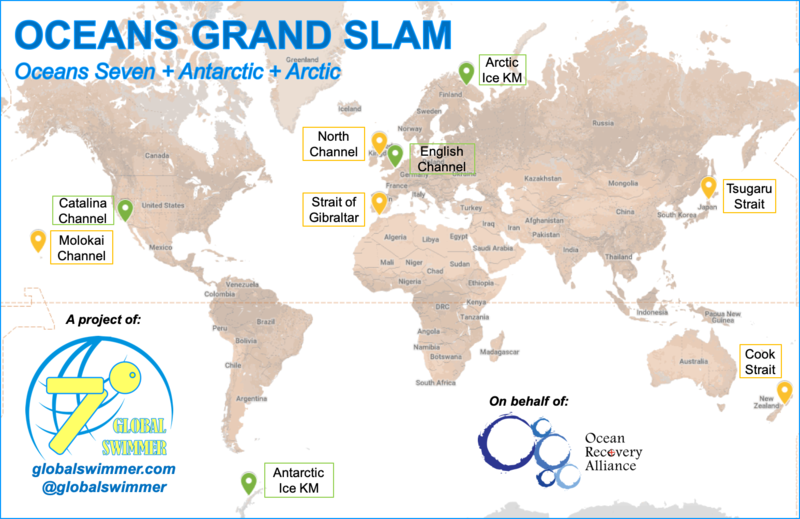 The Oceans Grand Slam is open water swimming's equivalent of the Explorers Grand Slam. All the money raised goes to Ocean Recovery Alliance, a USA / Hong Kong non-profit with extensive experience in fighting plastic waste in the Ocean. Will you help me reach my fundraising goal?